My fringe has grown so much in 4 days, I can't see a thing! I will have to curl it under a bit until I have time to go for a trim. I wore this outfit to work yesterday and it was very comfy and it felt work appropriate which is a plus. This New Look dress is a little see through at the top but I think I'm the only one who noticed. I like the fact that it has a peter pan collar but it isn't too high, high necklines don't look that amazing on me. I'm off on a course tomorrow which is all about management and leadership skills and then I'm going to a book quiz on Saturday which will be attended by people who work in libraries all across south Wales which will be great fun. I had such a good time at the Frankie and the Heartstrings gig on Friday that I'm going to see them again in Bristol on Monday, can't wait! Ouch I thought my 1.30-7 shift was a killer! Working till half 9 cant be fun! I feel your pain about the fringe, I am beginning to resemble a shaggy dog and its starting to part! Oh the shame, really need to trim it! You look lovely, love the cute collar! Your hair looks lovely! 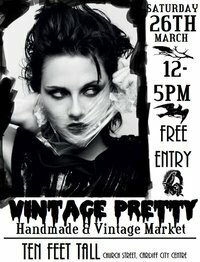 And thanks for the event notices - I always manage to miss the South Wales vintage happenings and then kick myself afterwards. I commiserate on the work hours - I currently do 7pm-1am, but at least I get the daytime to myself! 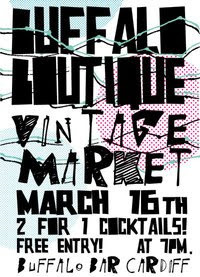 Thanks for the heads up on the vinatage fairs - will check them out if I've got any pennies left! Tell me about it, I'm going to pull something in my neck they way I'm flicking my side-fringe out of my eyes! I work 1-9 once a week and yuck, I hate it! Soon we are closing earlier though and will be working 9-7 instead once a week, I'm not sure which is worse! @Rosie and Charlene- I need to have a hairdresser friend who can come and trim it for me all of the time, I would make a mess of it if I tried to do it myself! @Helen and Rose Rogue- eeew long shifts are awful but good in away to get lots of hours work in one day.